Apple has released the latest macOS Mojave 10.14.4 (Build 18E226) Final Update for Mac devices with the addition of numerous new features and functions. Apple has also released several other software updates as well i.e. macOS Server 5.8 Final Version, Xcode 10.2 (Build 10E125) Final Update, iTunes 12.9.4, Safari 12.1, and iCloud 7.11 for macOS powered laptops and computers. So if you want to experience all new changes made by Apple on latest macOS 10.14.4 Update, then you can instantly upgrade to latest macOS 10.14.4 version from old macOS 10.14.3 version for free. 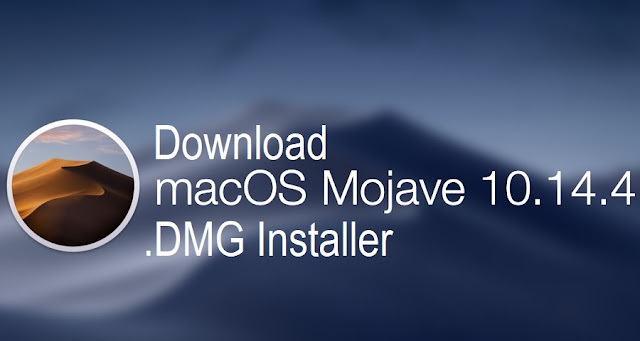 In this post, we are also sharing the Direct Download Links of macOS Mojave 10.14.4 DMG Delta, Combo and Offline Installer Files which you can free download without app store for manual installation on multiple Mac devices using bootable USB or DVD. What's New in macOS 10.14.4 Final Update? The latest macOS Mojave 10.14.4 software version also includes bugs fixes, security improvements, performance and stability enhancements in addition of new features and functions. 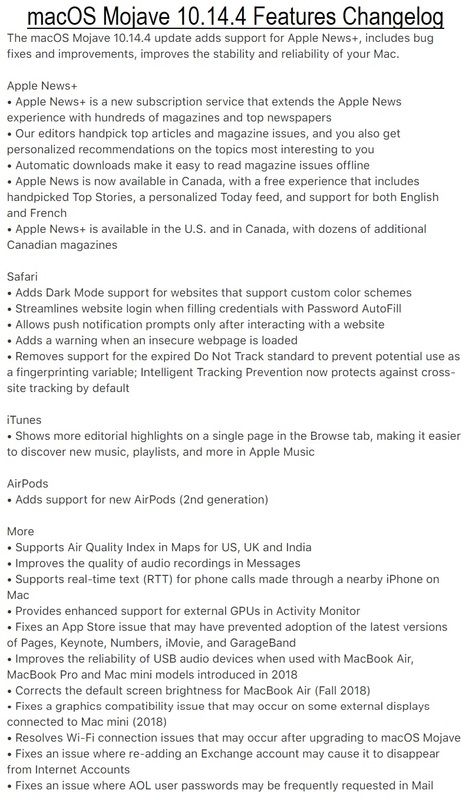 You can read full macOS 10.14.4 Changelog below. 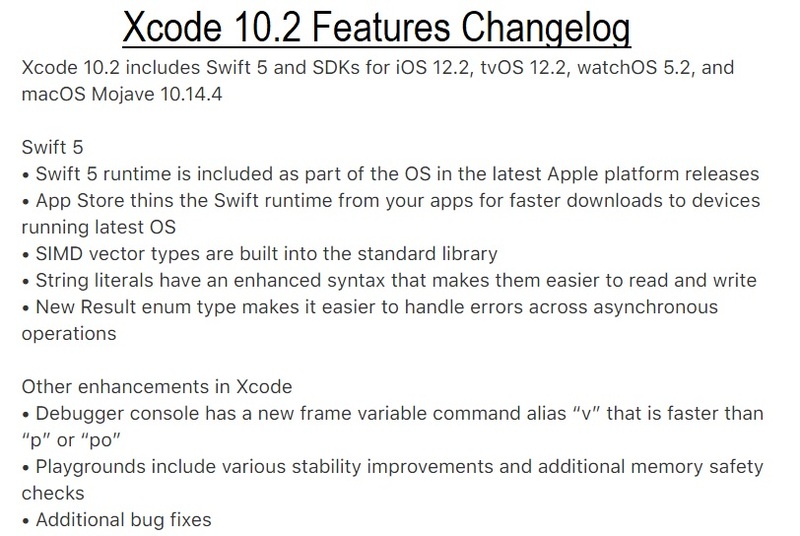 What's New in Xcode 10.2 Update? How to Manually Install macOS 10.14.4 Without App Store? All Mac device users can get the latest macOS 10.14.4 Version by simply navigating to this option; App Store >> Software Update. Or users can free download and offline install macOS 10.14.4 update without app store through direct official links available below.